Water Fun Rentals | A&T's House of Bounce Inc.
Reserve your Water Fun Party Rental today and find out why we are the #1 Water Fun Party Rental Company in the Hudson Valley! Are you looking looking for a way to keep your guests cool this summer! 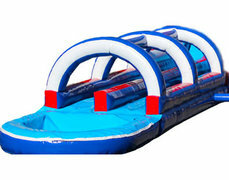 We have all the water fun rentals to make your party one to remember! Our slip and slides are perfect for your back yard Birthday Party, while our Dunk Tank is an excellent addition to any church or school function. Browse all the Water Fun Party Rentals Newburgh has to offer. When you find the perfect one, simply press "ADD TO CART" and follow the checkout procedure. 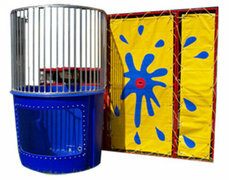 Reserve a Water Fun Party Rental for Your Next Event! All of our Water Fun Party Rentals offer hours of friendly Fun. They all promote safe, clean fun for the most active of participants. Take advantage of booking your WaterFun with us! Let us help plan your event and and take some of the stress away. We will help you pick out the perfect economicaly priced Water Fun rental without breaking the bank. Our Water Fun Party Rentals Offer Safe, Clean, Fun For Your Guests! 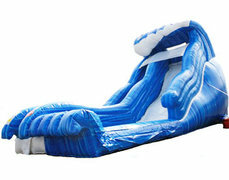 Rest assured your Inflatable Water Fun Party Rental will arrive Clean, Sanitized and ready to play! All of our party rentals go through a rigorous inspection and cleaning process after each rental. We then store them in our warehouse so they arrive ready to go. After we professionally install your Water Fun Rental, Get Ready to have the time of your life!! Your inflatable Water Slide is packed full of safety features like fire retardant lead free viny, mesh netting to provide visibility and allow airflow and open roofs for easy exit in case of unexpected deflation. 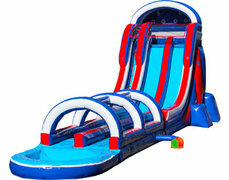 Our Slide rentals all have a Jump Cover to keep your kids safely in the unit. All of our units have oversized soft foam filled accessories designed for safety of your guests. Our line up of Inflatable Water Fun rentals are perfecty suited for large groups. They add a competitive challenge to School Field Day Events or High School Graduation Events. Water Slide rentals are the perfect addition to any street fair, carnival or community day event. Ordering Your Water Fun Party Rentals are Easy! 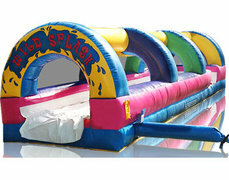 Ordering your Water Fun Rental is easy at HouseofBounceNY.com using our new online reservations system. Just click the order by date link and enter the date and times of your event. Then, as you browse through the website, you will be presented with only those items available on your date. Not ready to comit, no a problem. Simply explore the categories and as you see items that are perfect for your party, just click the "Add to Cart" button from the product page. The website will automatically adjust the price based on the times you enter into the calendar. 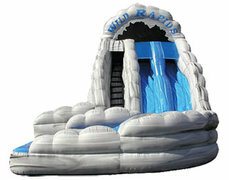 Rental Rates are based on an 8 hour rental for all inflatables and party rentals. You can extend your party rental time up to 12 hours for an additional $25. If you would like to keep your Water Fun rental overnight, the system will add the $50 overnight fee to the base price. Multiple days will be discounted down to 50% of the base price. 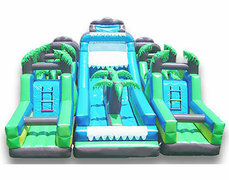 We Deliver Water Fun Party Rentals Throughout the Hudson Valley! 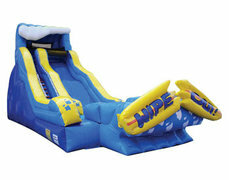 Our Water Fun Party rentals all come with free local delivery and Installation. Our Free local delivery zone is highlighted in the google maps page found below. There is a small delivery charge for Inflatable Games delivered more than 15 miles from our warehouse in newburgh, ny. For a full list of cities we service, please check out our Delivery Area page. If you do not see your city listed, please feel free to reach out to us through chat or you can call us at 845-787-0515. 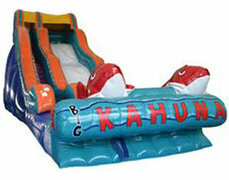 You can also email us at www.HouseofBounceNY.com.